The two main organizational elements that form the basis of this work are a rhythmic motive (which spans over the metres 2/4 3/4 3/4 2/4 3/4) and a tone row that mirrors around its middle (A,C,D,Eb,F,Ab). This tone row is never transposed throughout the work. 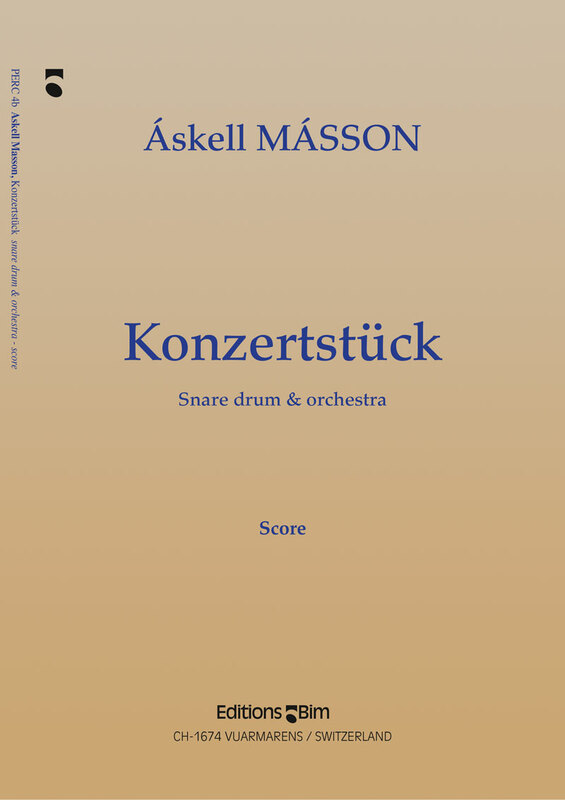 Premiered in September 1982 by the Swede Roger Carlsson with the Icelandic Symphony Orchestra, this work has since then been performed widely. Evelyn Glennie has in particular performed the work frequently with many of the finest orchestras, a.o. Cleveland Orchestra, National Symphony Orchestra, Washington, Cincinnati Orchestra, Royal Philharmonic Orchestra, BBC Symphony Orchestra and many others.